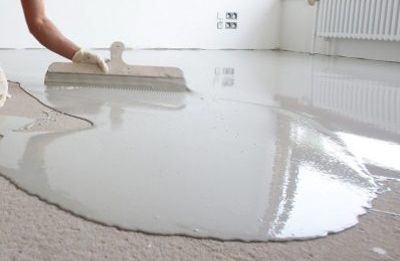 Before commencing installation, it is vital to ensure the sub-floor is permanently flat, dry, hard, clean and having adequate load-bearing capacity which are all the essential characteristics to support a lasting and worry-free floor. Before installation, it is necessary to remove any forms of adhesive residue. Spilled paint, adhesives, or other coatings, as well as dust and debris may mar the flooring installation if not cleaned away. A level subfloor will ensure that timber floors fit together neatly and do not creak or sag. Our capable estimators and installers will use accurate and specialised level measuring equipment to check the levelness of the subfloor in multiple areas and in multiple directions. It is important to make sure there are no obvious lumps and bumps on the sub-floor. (E.g. High spots can be sanded down with and electric sander; and/or low spots should be filled with cementitious levelling compound). It is essential to conduct a moisture test to ensure the levels are no higher than 75%RH. Moisture level is one of the most common causes of damages to floorboards, as excess moisture in the subfloor can cause hardwood floors to warp, while excessively dry subfloors can lead to cracked, creaky floors. Normally, subfloors should be strong and lasting. However, it is not rare to find deterioration in older constructions, especially in timber-framed construction, as it is easily damaged by insect, floods, or high moisture environment. Please keep in mind that it is not always possible to predict all subfloor work. 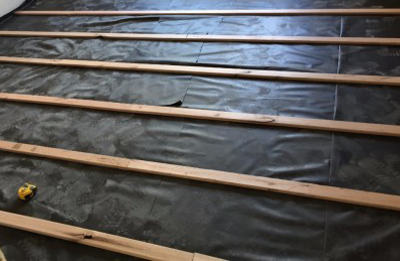 Sometimes, you won’t find out precisely how uneven a subfloor is until work has commenced, or it might only be revealed that there is structural damage that needs repairing after the existing layers have been removed. At Oakland Timber Floors, we understand that unexpected costs and delays can be highly stressful. We try to present you with a rough 'worst case scenario' so you can better prepare for additional subfloor prep (hopefully it wont be necessary). We won’t start additional works until you have understood the situation and given us consent to continue.